Insider: Zenith El Primero A386 Revival 50th El Primero Anniversary Limited Edition. Three Types of Gold in a 50-Piece Edition Each. 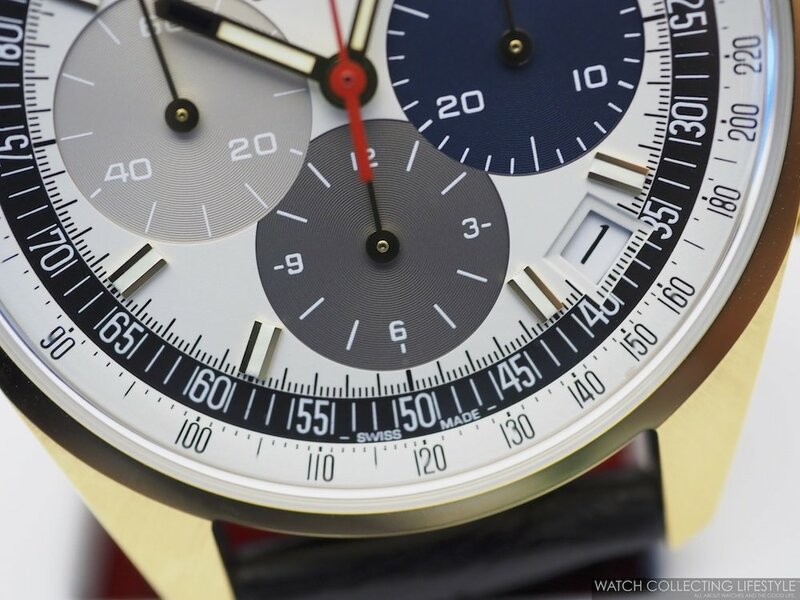 As we mark the 50th anniversary of the release of the Zenith El Primero A386 in 1969, Zenith has decided to bring back the original model in its 38 mm case in a highly coveted limited edition of 50-pieces each in 18K white, yellow and rose gold. Maintaining the traditional faceted straight lugs of the iconic El Primero Chronograph A386, the watch was originally christened 'El Primero' referring to ‘the first' as it was presented on January 10th, 1969. The new Zenith El Primero A386 Revival 50th El Primero Anniversary Limited Edition is as close as you’ll get to owning the original watch from 1969. From its case proportions to the dial and even the plexiglas on it, this revival edition is as good as it gets. At a time when the trend was for tone-on-tone dials, Zenith played on contrasting effects to improve the readability of the chronograph counters with the lightest shade of grey for the running seconds and the darkest for the hours, with an intermediate hue for the minutes. The options chosen back then were light grey, anthracite and blue —a combination that would soon become iconic and that is also present in this limited edition. Available in 18K white gold, yellow or rose gold, this beautiful Zenith El Primero A386 Revival 50th Anniversary Limited Edition is fitted with a white lacquer dial that maintains the same layout and colors as the original El Primero, one of the most iconic and legendary watches of all time. The Zenith El Primero A386 Revival 50th Anniversary Limited Edition is equipped with a brown alligator rubber lined strap with pin buckle for the 18K rose and yellow gold models, while the 18K white gold rmodel features a black alligator strap with the same type of construction and clasp. Powering this special limited edition is the Zenith in-house automatic calibre 400 with 31 jewels beating at a high frequency of 36,000 vph to provide a power reserve of 50 hours when fully wound. As with all other Zenith movements, the finish and decoration of the calibre is really exceptional and bears the oscillating weight with the Zenith star logo. On the wrist, the Zenith El Primero A386 Revival 50th El Primero Anniversary Limited Edition wears very much like its vintage predecessor. The 38 mm case wears true to its size and exceptionally well with a nice vintage feel to it. A great looking trio of watches that are priced just right. Now, considering the very limited run of this limited edition, it will probably be nearly impossible to secure one of these watches as soon as they hit the stores. Sticker Price $19,200 USD for 18K rose, yellow or white gold. For more info on Zenith click here. 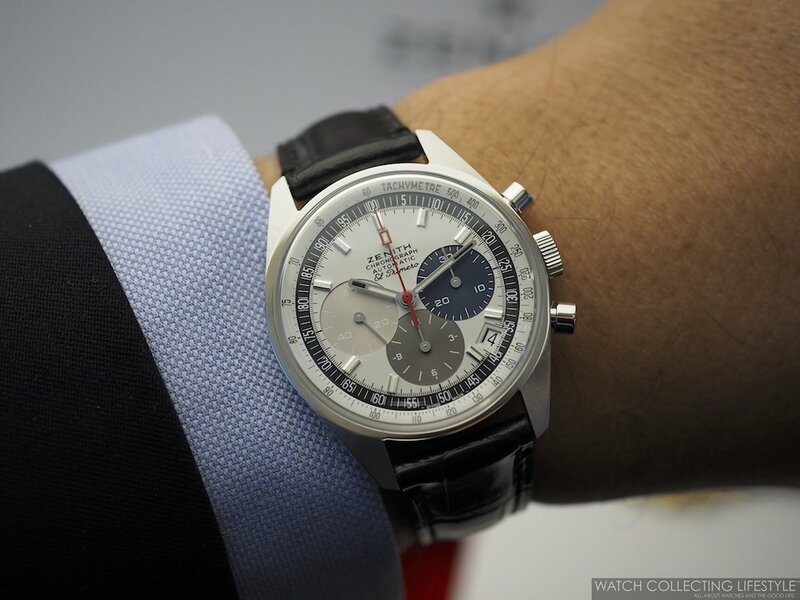 Posted on April 2, 2019 by Editor & Publisher and filed under Zenith and tagged Zenith Zenith El Primero Zenith El Primero A386 Revival 50th El Primero Anniversary Limited Edition Zenith El Primero A386 Revival 50th Anniversary Limited Edition El Primero A386 El Primero 400 Limited Edition Watches Chronographs Mainstream Brands 2019 Most Popular.